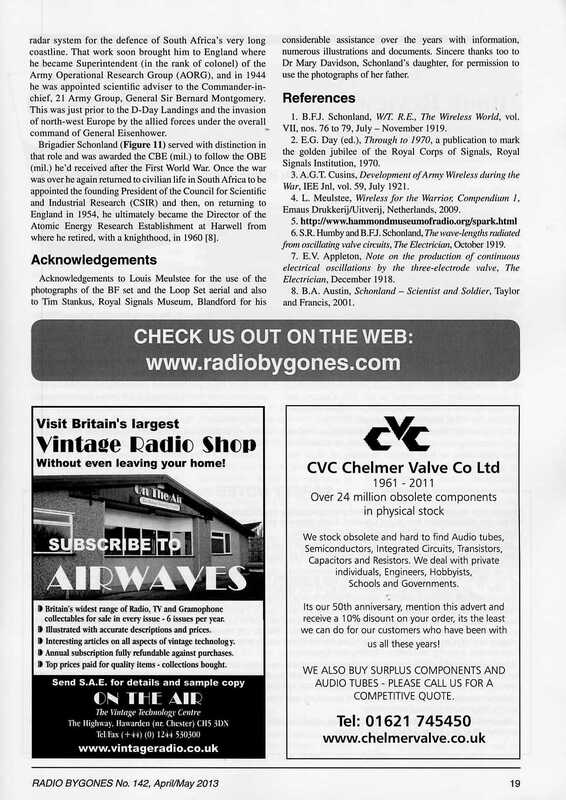 My latest article (attached) has just been published in Radio Bygones. 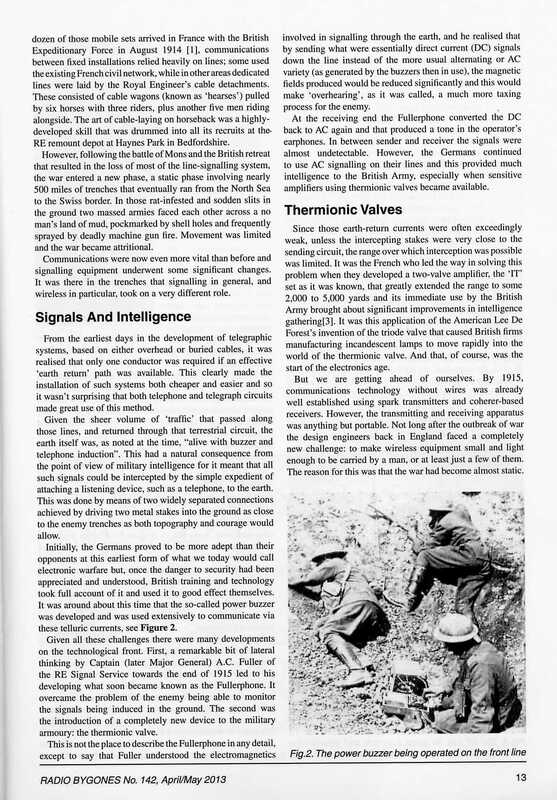 It deals with the use, by the British Army, of both spark and valve oscillator transmitters, as well as the coherer and valve-type regenerative receivers in the trenches of the Western Front during WW1. 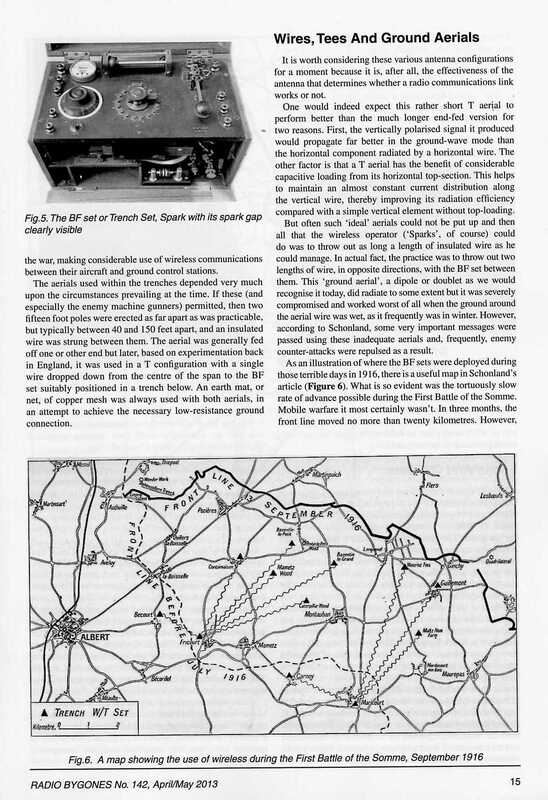 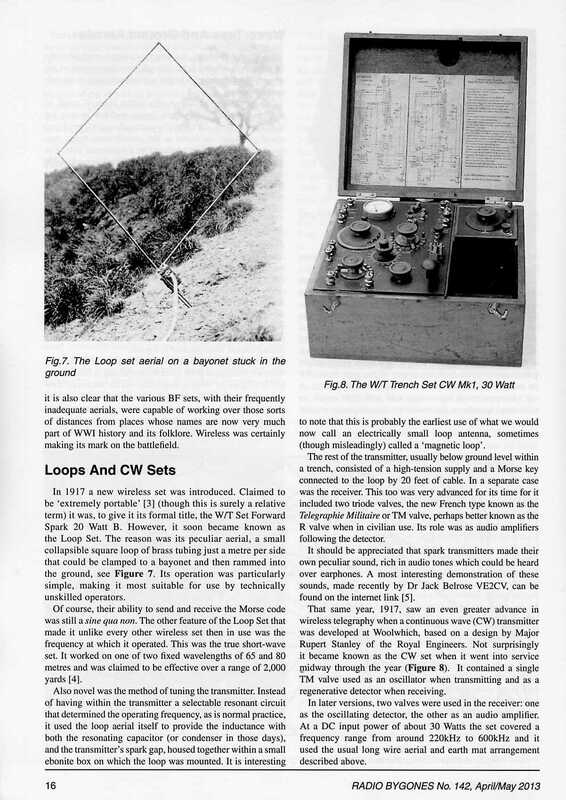 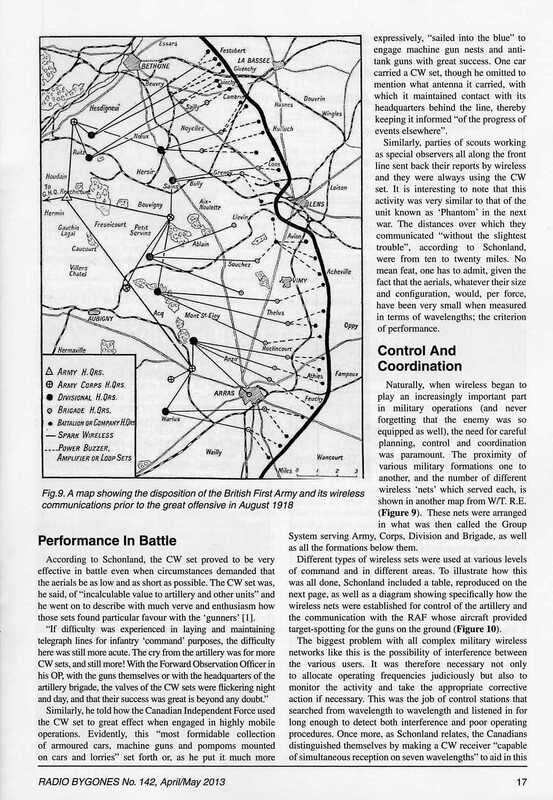 As you'll note, Basil Schonland played a major part in all of this and the real detail of the story came from his remarkable article, published in Wireless World in 1919. 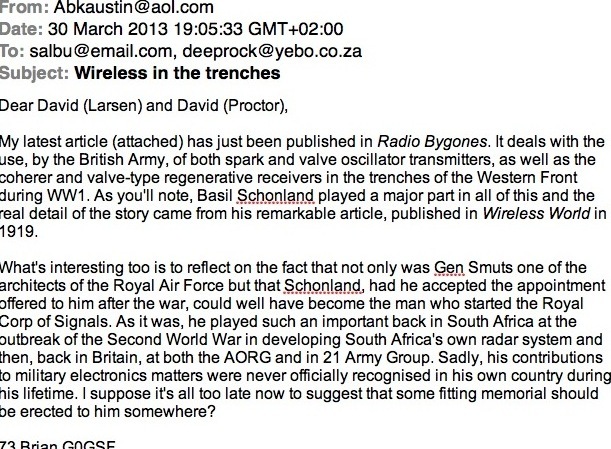 What's interesting too is to reflect on the fact that not only was Gen Smuts one of the architects of the Royal Air Force but that Schonland, had he accepted the appointment offered to him after the war, could well have become the man who started the Royal Corp of Signals. 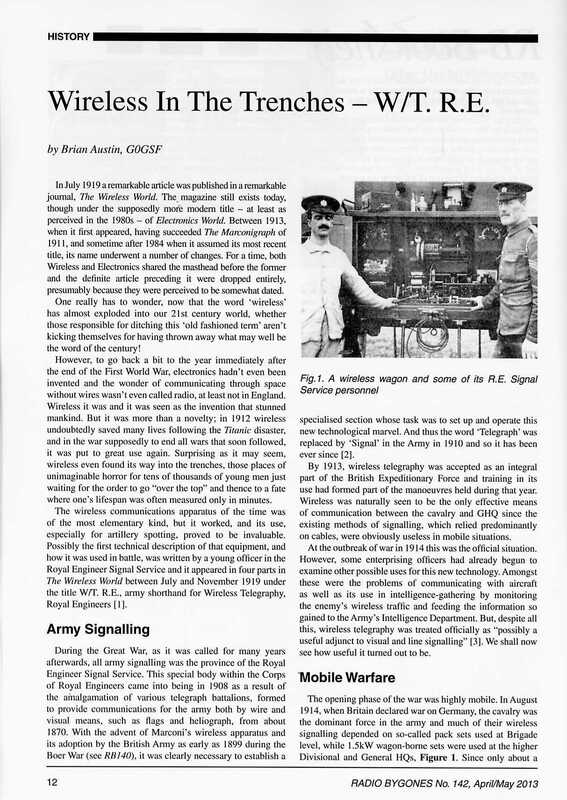 As it was, he played such an important back in South Africa at the outbreak of the Second World War in developing South Africa's own radar system and then, back in Britain, at both the AORG and in 21 Army Group. 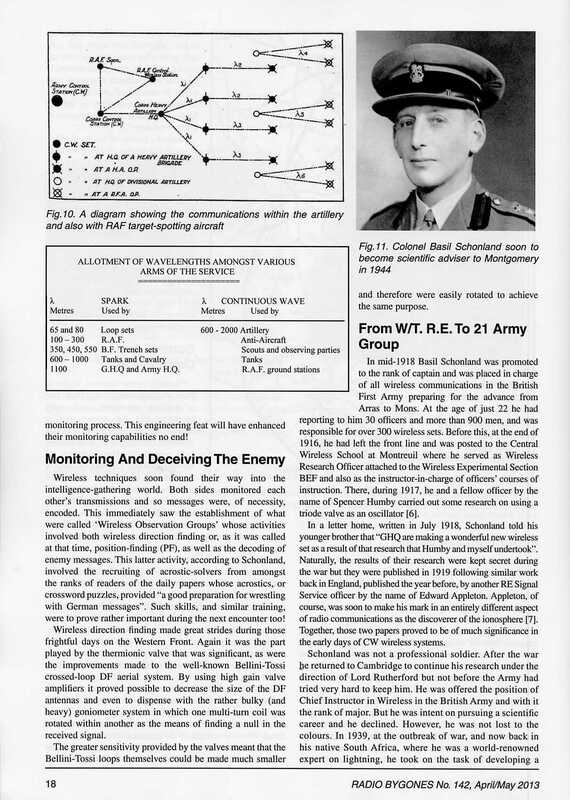 Sadly, his contributions to military electronics matters were never officially recognised in his own country during his lifetime. 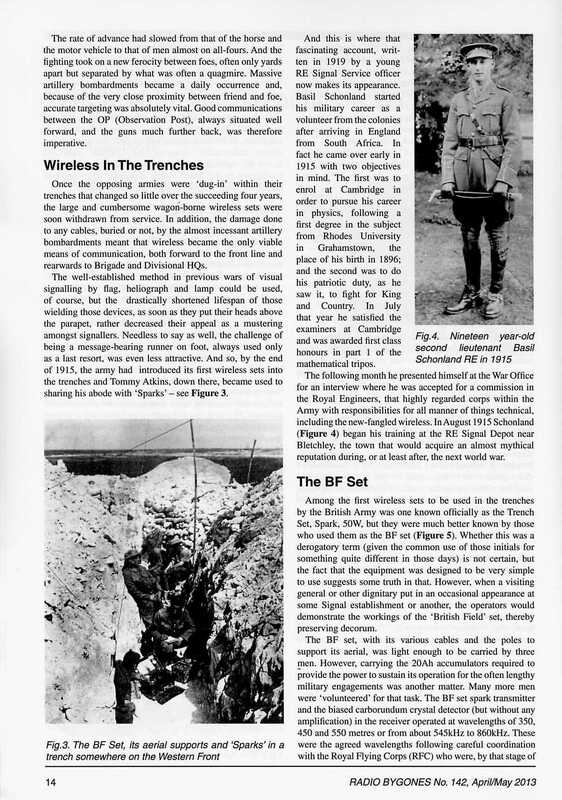 I suppose it's all too late now to suggest that some fitting memorial should be erected to him somewhere?